The surface grinding machines from the list of VEDI International Ltd. are designed for machining flat work pieces - stripes, plates, press moulds, flanges, gear wheels, etc. and the cylinder grinding machines are designed to grind internally and externally cylinder and conical surfaces, as well as faces of rotating work pieces - shafts, axes, sleeves etc. of ferrous and non-ferrous metals, as well as non-metal materials. Simple design, easy operation and maintenance are the main characteristics of the machines. 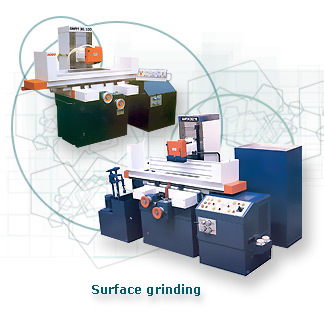 Choosing whichever of the grinding machines you always choose quality, which we guarantee.